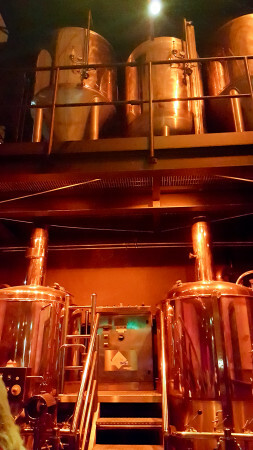 Went out last night with a group of people for dinner, to the Old Brewery in Greenwich. Heather had been out and about with them earlier in the day for lunch and a jaunt down the Thames but I met up with people at the always good Gypsy Moth, next to the Cutty Sark, who’s staff had made a real effort for Hallowe’en. After a drink or two we moved onto the restaurant, where things weren’t good. The company was still perfectly fine, and I like Meantime’s beers, but the service was awful (when it existed). Having been seated and given time to think about drinks I actually had to shout across the room to the three staff studiously ignoring us to get some service. Even then, I had to practically walk our “waiter” through his job (tell us what the “homemade pie” on the menu actually is, and the fish of the day, and then take drinks orders). We even eventually got to place orders for starters. The food took its time arriving but was fine. What wasn’t was a member of staff then turning up to ask if we wanted to see the dessert menu (not really, we would like to actually get round to ordering main courses though). I didn’t think much of my cajun chicken burger (or actually, the pub food feel of the menu given the prices they were charging). To top things off, as we were leaving they began to raise the lights, despite an other table still clearly eating. So, nice venue, shame about the awful staff. Can I Have My Childhood Back? Last Saturday Heather and I went in search of a long lost youth with a trip to the Museum of Childhood over at Bethnal Green. 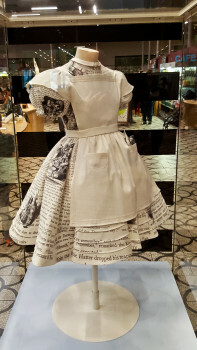 As well as sounding like an interesting place to go (it is), and as part of the Victoria and Albert Museum free, we were specifically headed for an exhibition on The Alice Look, examining the changing look of Alice (of Alice in Wonderland fame) in popular culture. That was laid out in the entrance hall but first, there were toys!